Discover more about private investigators capability, employment and regulations in Annapolis. ICS offers a full range of private investigation services throughout Annapolis. Our investigations are performed by licensed Maryland private investigators and sub-contractors. Our sub-contractors are committed to providing affordable, reliable and confidential services to every client. ICS sub-contractors are held to the highest levels of professionalism and you can expect their findings reported in an accurate and timely fashion. Contact us today to begin your case. Private investigators in Annapolis, Maryland are available through ICS. When you hire a private investigator from ICS, you get an sub-contractor that has met all of the Maryland State licensing requirements, including a background check with finger printing. Our private investigators come from a variety of backgrounds, such as the military and police departments. ICS's sub-contracted private investigators in Annapolis are fully licensed and strive to carry out the ICS mission statement by providing timely and reliable investigative services throughout Annapolis. ICS conducts private investigations in Baltimore, Annapolis, Chevy Chase, Germantown, Elkridge, Ellicott City, Riva, Columbia, Pasadena, Crofton, Shady Side, Silver Springs, North Beach, and more. 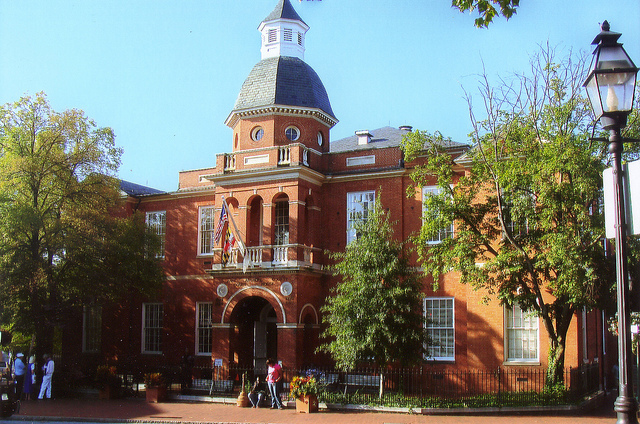 ICS sub-contractors conduct investigations in Annapolis, and ICS accepts most case types. Call ICS when you need a professional, confidential, and timely private investigation in or near Annapolis. Do you need to catch a cheating spouse or partner, locate a missing or lost person, find a birth parent, or collect evidence for a child custody, visitation, or support trial? Contact ICS to get the answers you deserve. We can obtain information that civilians do not have access to, which means that you are more likely to find the information you need when you hire a PI. ICS follows evidence collection protocols so any evidence collected by ICS sub-contractors will be admissible in court. ICS is experienced in handling large cases and cases of a personal or sensitive nature, and we practice the highest possible levels of confidentiality and discretion. Our private investigators are available 24 hours a day, including holidays, and can begin an urgent investigation quickly. In addition to the investigations we offer and cases we solve, ICS also provides a variety of services, some of which are centrally managed out of our corporate office. Some of the most common services ICS offers are background checks, finger printing, pre-employment screening, financial tracking, and income verification. Centrally managed services include Technical Surveillance Countermeasures (TSCM), and computer and cellular forensics. This is only a brief list of our most common case types and services; if you do not see your case type or service listed here, please visit the “Investigations We Solve” or “Services we Offer” pages for a more comprehensive listing. Begin your investigation with a free consultation today by completing the online consultation form, or by calling ICS of Maryland on our Toll Free, 24-hour line at (888) 223-6494. ICS of Maryland is not a licensed private investigation agency in Maryland. ICS uses licensed and authorized sub-contractors to conduct investigations in Maryland. ICS of Maryland has been delayed, pending regulatory licensure.